Home / digital disruption / Is the property industry the next digital disruption target? Back in 2001, I left the relative security of the telco industry in Australia, and jumped into my first start-up role as CEO of a commercial property website called PropertyLook. PropertyLook was a unique joint venture between Australia’s four largest commercial property companies – CB Richard Ellis, Colliers International, Knight Frank and Jones Lang LaSalle. We launched the site in the middle of the “dotcom” period, when sites such as Pets.com were valued at ridiculous multiples, and ultimately failed. One of the immediate challenges in getting property agents to use the site was that in 2001, they just didn’t believe that the internet could be used to sell commercial property. The “old way” of doing things was to put an advertisement in the paper, paid for by the client (with the agent’s logo and branding taking up 1/3 of the size of the ad), put a signboard out the front of the property, and then wait for the phone to ring. Having come from the digital world, I had an uphill battle to convince agents to take some of their marketing budget from press, signboards and brochures, and instead invest in an online presence on PropertyLook. 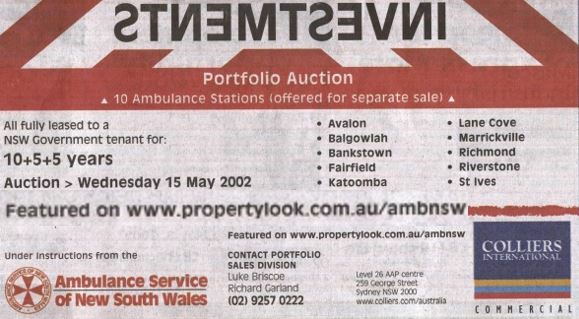 Back in 2001 the cheapest ad on PropertyLook was $200 for a simple text listing. To put this into context, marketing campaigns for commercial properties can run into the hundreds of thousands of dollars. The most expensive listing at the time was $2,000 which provided premium billing in search, a virtual tour and the ability to upload floorplans and brochures. Those $2,000 listings were pretty hard to sell until one client came to the site and bought a $47 million property as a result of seeing it on the site. In the middle of our first quarter, we started hearing stories from commercial agents saying that commercial property seekers were turning up to inspect properties armed with printouts from the site. In fact in some cases, the phone had stopped ringing, and instead savvy clients were using the site to narrow down their choices before even engaging an agent. Below you can see a corporate video presentation on PropertyLook I produced in 2002. It features interviews from those agents that had seen how effective digital marketing could be early on. Remember – this was back in 2002. 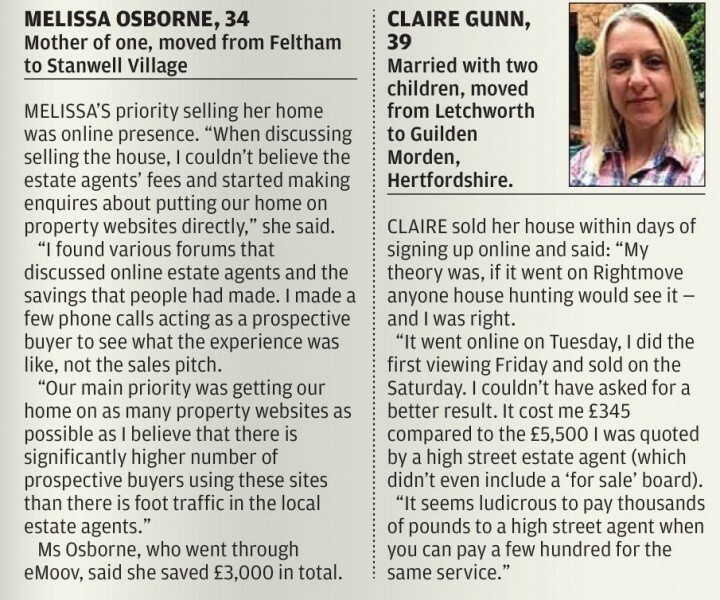 Imagine my recent surprise when I read an article in the London Evening Standard saying that many residential property sellers are now turning to online sites, and bypassing agents (and their hefty fees) to sell their property. I have written recently about the impact of digital disruption on the high street in the UK with Photographic retailer, Jessops and UK music retailer HMV succumbing to the power of the internet. 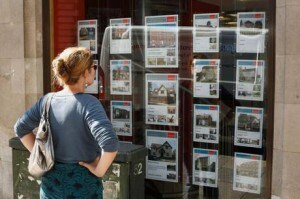 Will the property industry go the same way? Clearly property websites are not new. When I launched PropertyLook in 2001, our residential counterparts were well established, and we were the third commercial site to start. What has happened since 2001 is that consumers are now much more comfortable about selling large assets (such as house) online and effectively running a DIY marketing campaign. What does this mean for large agency groups? If I was the CEO of Foxtons or one the large number of property agents that dot the high street, I would be particularly worried by what the internet means for their business. To justify the Agent’s fees of between 1 and 2% of the sale price as a fee to market and sell a property (and in the UK where the average sale in 2013 is £238,000 that means thousands for a marketing campaign), you would expect them to be doing more than an online listing, a signboard and a few brochures. Property sellers are seeing they can have the same impact (and a shorter sales cycle) by paying a fraction of this and using a well promoted property website, and completely bypassing the agent. The PropertyLook founding shareholders were smart in 2000 as they planned for the launch. They saw that either newspapers (where they already had a presence) or other websites would soon start to “eat their lunch”. We also introduced “PropertyLookup keys” – in effect a short URL like Bitly to allow property seekers to go straight to the property from a newspaper ad. Click the tall image below and scroll to the bottom of the ad. Property seekers loved this – it allowed them to see more about the property in an instant. In researching this post, I went back to some of our promotional material, and found these quotes from a property seeker in 2002. Not much has changed 11 years on, except for the fact that many of today’s agents think they can continue to use outdated marketing methods, like signs in a window and the phone will ring. My bet is that after high street bookshops, high street property agencies may be the next ones to get hit hard by digital disruption. Footnote: PropertyLook was sold in 2006 for $9.05 million to the largest commercial property website Realestate.com.au – majority owned by News Corporation.